Just spray and flush with water. Can also be used for wet body. Do not use for purposes other than original use. Since it is harmful to aspirate, use it in a well ventilated place. When it is hot or when the body is hot, do not use it as it causes unevenness and spots. Do not leave it for a long time because it causes unevenness and spots when left unsprayed. 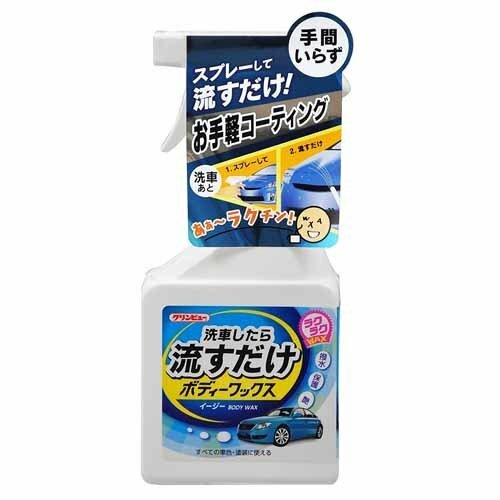 Do not use it because it may become a spot if it is used for repainted or deteriorated painted surface (including aero parts and plastic parts). Being a cause of scratches, do not use it when the wind is strong or where there are many dust clouds. Do not use for glass. If an oil film is formed on the glass after work, it should be dropped with an oil film sizing agent. Wash hands with soap after use.